Secure digitalisation is an obvious next chapter in the industrial story of the Tampere Region. The Insta Group site is a growing centre of security expertise in Tampere, Finland. It makes sense to join forces and focus on the fast-growing global market together – this was a decision made by Insta Group and Intopalo last year. In November 2018 they announced a deal to merge Intopalo into Insta Group, creating Intopalo Digital, a centre of secure digitalisation with over a thousand employees. Insta Group is a Finnish, family-owned high-technology corporation focusing on digitalisation, automation and management solutions. Intopalo was specialising in software platforms, data management and analytics, and secure industrial digitalisation. – Our combined core expertises allow us to set up a centre of digitalisation that is unique in Finland and also significant in the global scale, says Juha Latvala, Chief Digital Officer at Insta Group. 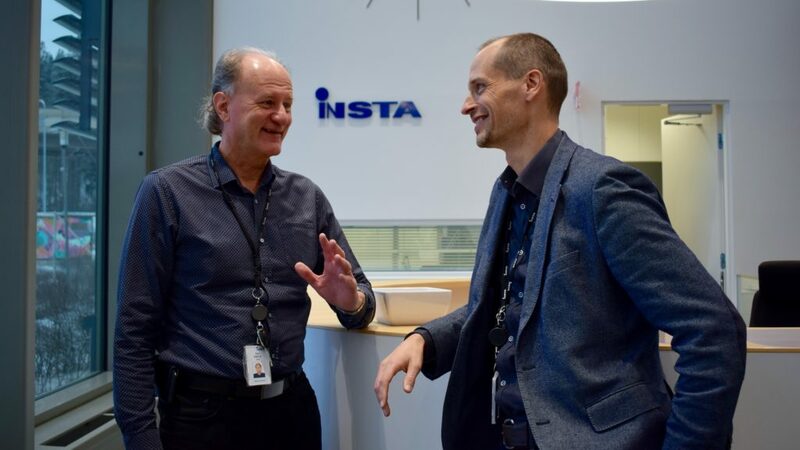 – Secure digitalisation is inherent in all Insta Group operations, so joining forces with Intopalo brings added value to all our customers, says Esa Einola, Vice President, Marketing and Innovations. Insta Group estimates that the new centre will grow by 300 employees in the next few years. There is room for expansion at the site and the market is growing, thus new talent is needed. – Do contact us, if you are interested. Insta offers interesting and meaningful things to do and opportunities to improve further as a professional, says Latvala. – I’ve been with Insta for 40 years, and the work has changed a lot during that time, allowing me to develop as well. It is not just a coincidence that I’ve wanted to stay in this company, states Einola. Secure digitalisation is an obvious next chapter in the industrial story of the Tampere Region. Based on mechanical engineering, strengthened by software development and further IoT, secure digitalisation is next to emerge. The development of the region is also enhanced by the recent smart city activities and remarkable investments in the city infrastructure. – The knowhow in this region makes us the forerunners of secure digitalisation both nationally and globally, states Latvala. Latvala and Einola emphasize that Insta Group is willing to promote the Tampere Region safety and security ecosystem. Insta is one of the strongest and best known players in the field, but smaller companies, startups and teams with special expertise are also important. In practice, Insta may support the ecosystem for example by organising networking events. – It is crucial to base those events on real customer needs and projects, not just network for the networkings sake. Real needs raise useful connections between companies and talents, says Latvala. – A practical example of benefiting from the ecosystem is us joining the Tampere Campus Club, where companies and academia meet regularly, says Einola. What is secure digitalisation all about, really? Companies will give different answers depending on how far they’ve advanced on their digitalisation path. Autonomous solutions powered by AI are of great interest for a company that already collects and analyses data routinely. If a company is just starting its way into the digital world, embedded software might be the first major step to take. – Every step from one stage of digitalisation to the next one is different, and every step taken means around tenfold growth in the enterprise value. And there is no way to proceed, if the new solutions and systems are not secure, explains Latvala. – A long history with automation projects has taught Insta how to make complicated technical solutions simple for customers. Today the same applies to security, it must be built in, says Einola. 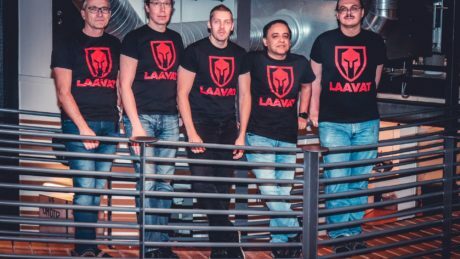 LAAVAT is a Tampere-based startup with world-class security expertise.